Participants must be 8 years or older on race day. Participants must be able to maintain a 20:00 per mile pace. No refund, transfer, sale, or attempted sale of entries is permitted. Any runner wearing a false or transferred bib will result in the runner and registrant being DQ’d and banned from future races. Personal pacers are not allowed: only bibbed runners are permitted on the course. Distance upgrades are available (upgrade charge applies), beginning 5/1 through 8/31. Runners with service dogs have a unique starting corral with an estimated 7:10 start, shortly after the general start corrals. Participants must be 14 years or older on race day. 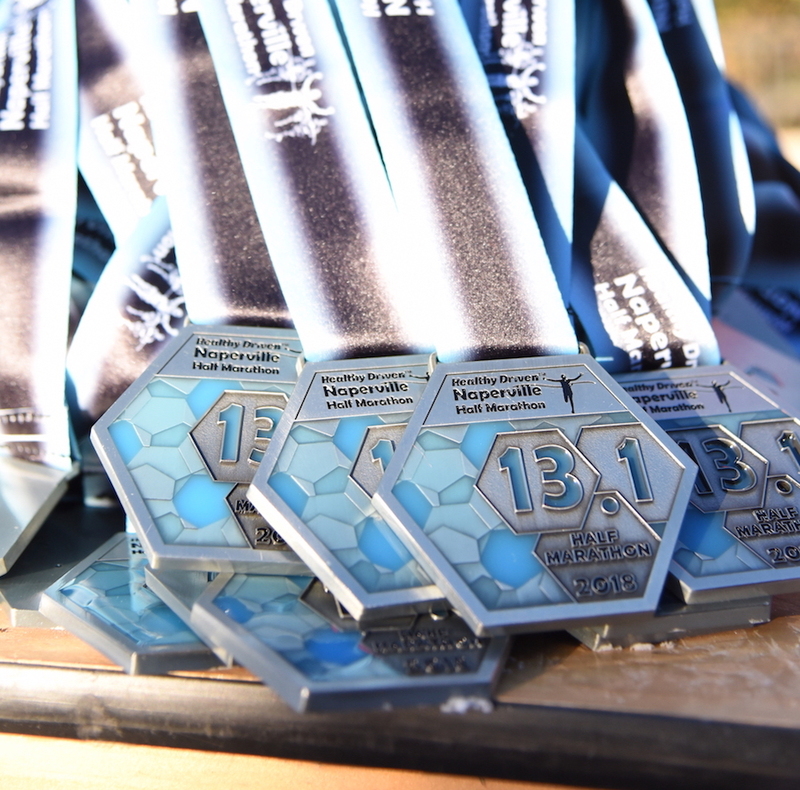 There is no race day bib pickup unless pre-selected online ($30 fee) by 5 p.m. on 10/19. Deferrals are available online, beginning 5/1 through 8/31, for a $30 Fee. Distance downgrades are available (no fee) any time (no downgraded bib after 8/31). 2019 Race Shirt is COMING SOON! *Note: 2019 Long-Sleeve tech shirt designs are coming soon. Shirts are pre-production designs. Actual colors may vary. *Note: Quarter zip is a pre-production designs. Actual colors may vary. 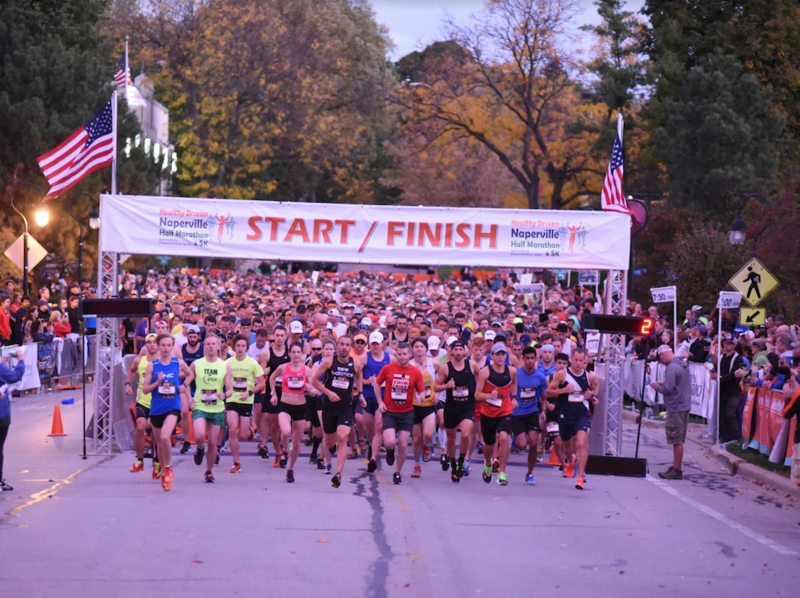 Be one of the first 3,500 to register AND pick up your packet on Friday, October 18 or Saturday, October 19 to receive a complimentary pair of 2019 Healthy Driven Half Marathon & 5K gloves! 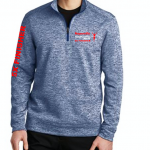 Runners who cross the finish line of the 2019 Healthy Driven Naperville Half Marathon for the 5th CONSECUTIVE year will earn THIS quarter zip as a THANK YOU for running with us year-after-year. Start, finish and race village areas near the heart of downtown Naperville. A course that offers half marathon runners a tour of central Naperville. 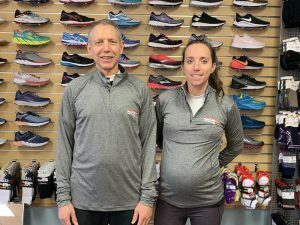 A unique post-race celebration experience in downtown Naperville! Enter 3 or more runners together and get $5 off each registration. No code required. See our FAQ for details.